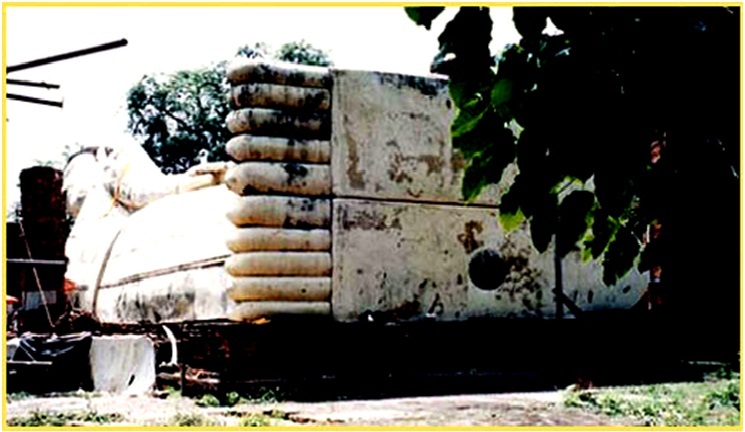 Wat Intapramul is located on an 80-rai plot of land in Bhothitong District, Angtong Province. It was officially recognized as a temple on March 8th, BE 2470. During ancient times it is known that local farmers would lead their livestock to the temple grounds in November and December to escape local flooding on the surrounding plains. There are no clear records of the history of this temple but information still exists about the famous reclining Buddha that dominates the temple. It is recorded that about 800 years ago, King Ler Thai of the Sukhothai Kingdom had traveled through the area and witnessed a strnge ball of light in the night skies. As a result of this he decided to build a sacred Buddhist image in memory of the event. He called upon about 1,000 labourers to help construct a giant sleeping Buddha, 20-Wa long by five-Wa high. It took about five months to complete the work, and construction was completed in BE 1870. 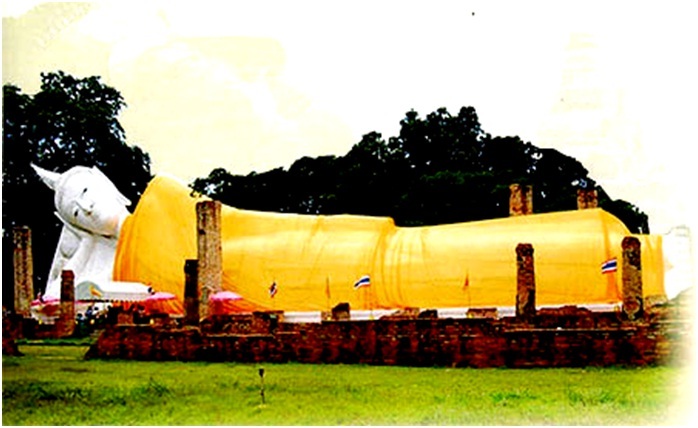 The king named the Buddha as Phra Buddha Siyas Ler Thai Narumit. He also assigned five men to guard the Image before he returned to his palace in Sukhothai Province, which was then capital of the Thai Kingdom. 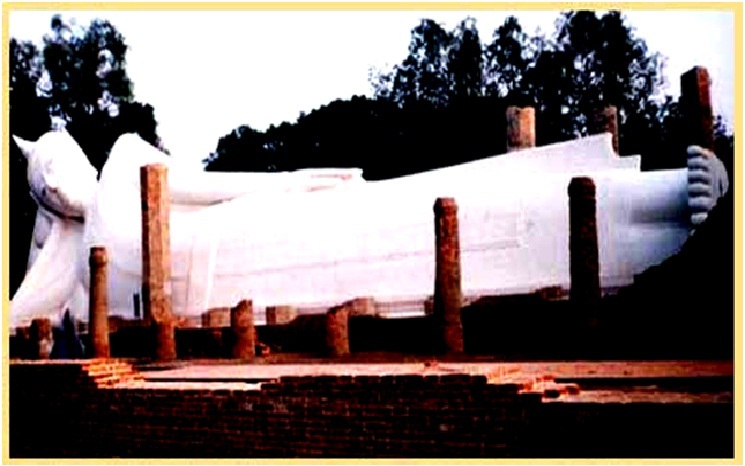 The reclining Buddha remained undamged for hundreds of years, until such time thieves became aware of the possibility that beneath could exist precious artifacts. 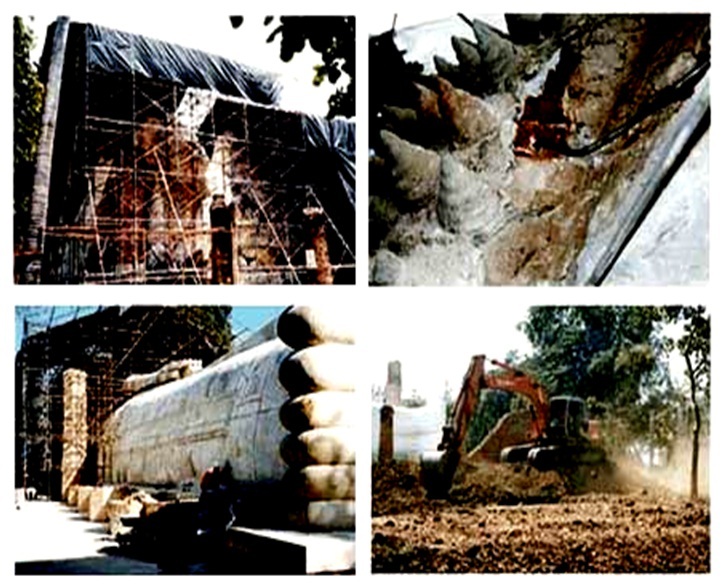 It was not easy to start excavating under the Buddha but a secret hole was dug. 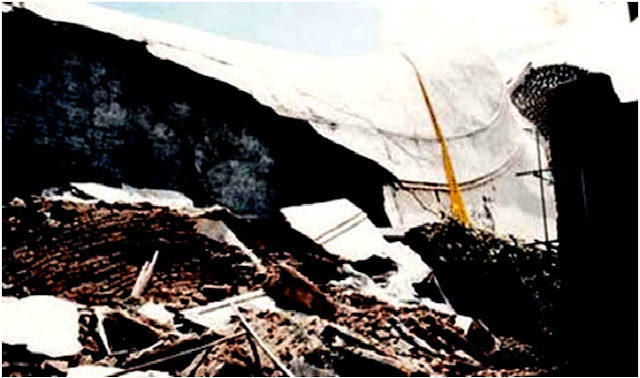 Unfortunately valuables were recovered and removed from the site before monks noticed ground subsidence.The unstable foundations led to the total collapse of the Buddha on October 14, B.E.2541, 11.00am. Many precious articles were removed but fortunately much of the treasure still remained including sacred amulets. Pra Somdej Kru Khun Intapramul amulets, apart from their age, are very interesting indeed as any serious collector will attest. 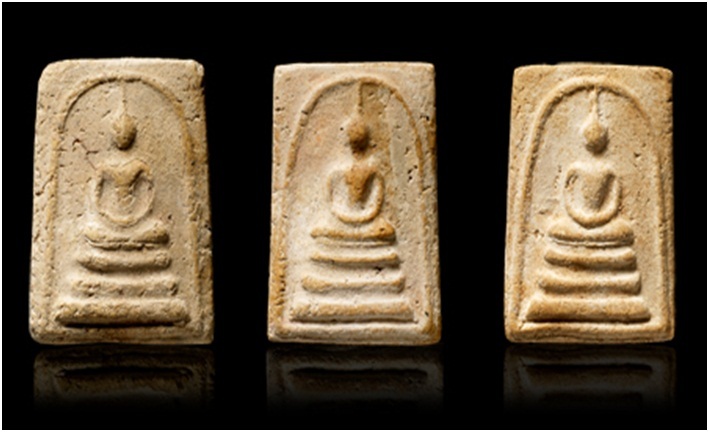 They are remarkably similar to amulets created by Somdej Buddhachan Toh, Wat Rakhang, both in design and composition. 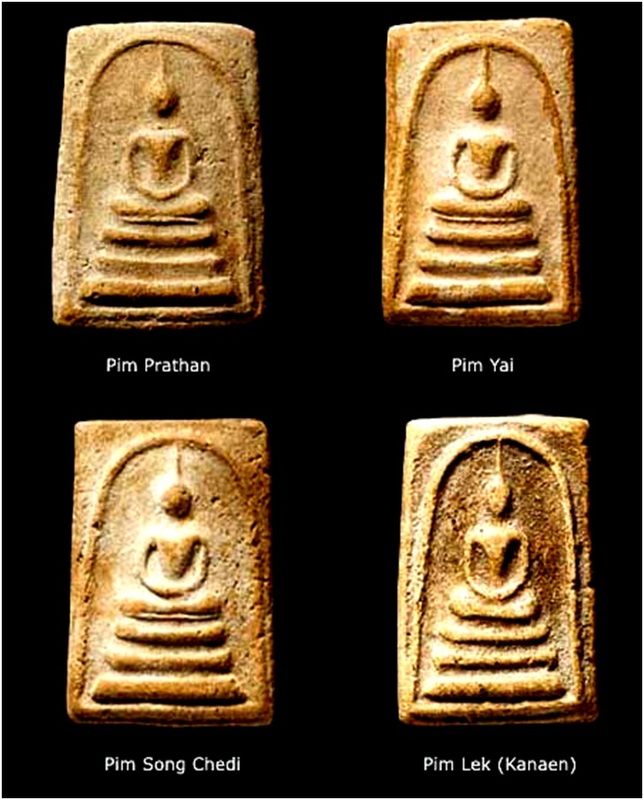 All ancient amulets, which are called “Pra Somdej ”, will have been created by senior monks who were at the very least appointed by Somdej Toh , for example Somdej Pra Buddhacharn Tor, Somdej Pra Sungkarachjao Sook Gaitern. 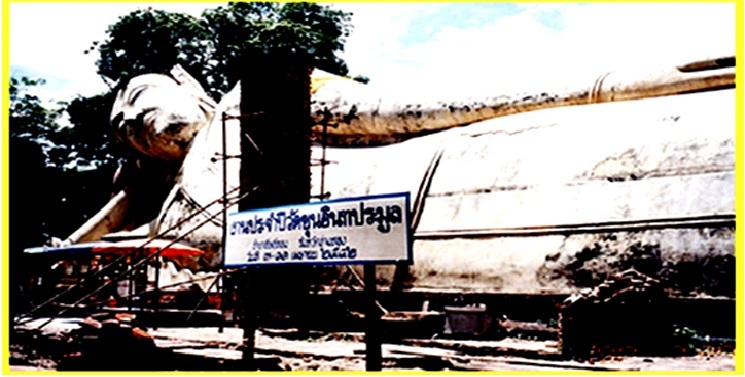 What is known for sure is that Somdej Buddhacharn Toh had visited this temple on a number of occasions to pay homage to the reclining Buddha. 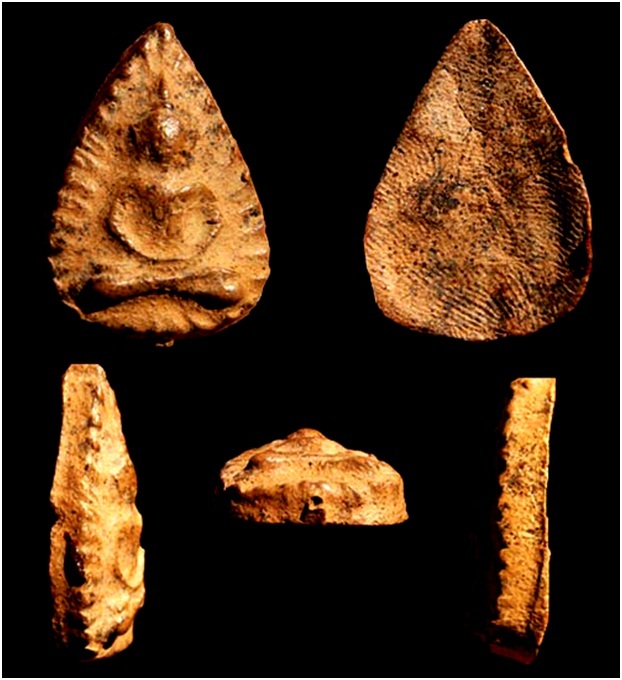 It is believed by most experts that at the very least he would have supported the creation of these amulets if not created by himself. Many people firmly believe that he did create these amulets and further more many competitions permit these amulets in the Somdej Toh class. There are four major classes of pim, some of which are quite difficult to distinguish to the untrained eye. NOTE: There is also one other pim known as PHRA SOMDEJ 7 CHAN OK RONG HU BAISRI which is incredibly rare, and well worth collecting in any condition as these pims fetch premium prices. In BE 2411, the then current Abbot of the temple was Pra Sumethachan. He entered the priesthood as a novice at the age of 10 before being ordained at Wat Bangput, Nothaburi. In 2399 he moved to Wat Chanasongkram, Banglampu, before being invited to take up the position of Abbot at Wat Lingkob after the death of the previous Abbot, Pra Ramanmunee. 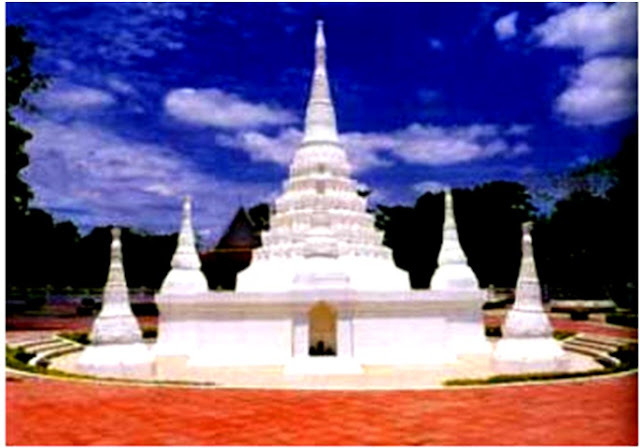 It is recorded that he constructed a new Chedi which he was to fill with many votive tablets such as Phra Kleep Bua made from baked clay and other valuables. The blessing ceremony attended by many leading monks of the era was presided over by none other than Pra Somdej Buddhachan Toh himself, making these amulets extremely valuable and highly collectible. What is even more exciting is that these amulets are still affordable and I would highly recommend that any serious collector secure at least a single pim. These amulets were not recovered until March BE 2509 when part of the chedi collapsed due to water erosion. 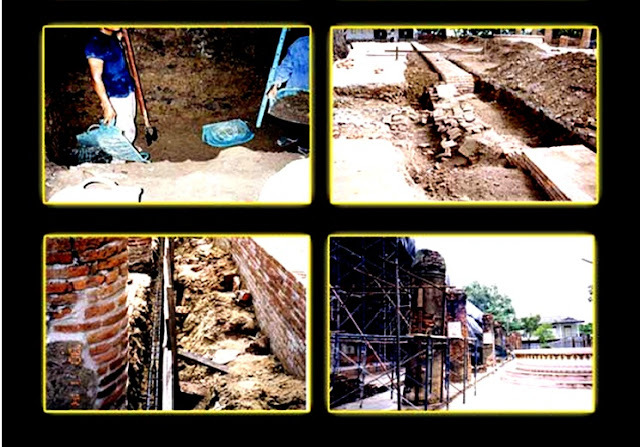 Originally thieves were first to discover the breach and although the temple was alerted and guarded by local police still more of the cache was stolen. The Religious Affairs Department finally gave permission for the Chedi to be formerly excavated. Amongst the scared amulets other Buddhist relics such as gold rings and takruts were also uncovered.